Know someone who loves fabric but don’t know what to get them? Are you looking for a gift to add to your “Wish List”? 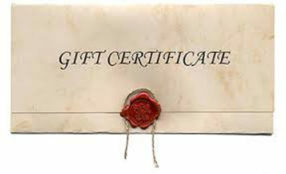 Our gift certificates are great for every seamstress, tailor, or mantua-maker on your list. And best of all, You can choose EXACTLY the amount you would like to spend! Details: You will instantly get a coupon emailed to you once your payment is complete. You can forward the email to recipient or print it out and give it to them. If you prefer that we configure a certificate and send it to you for printing or mail it to someone, PLEASE LET US KNOW WHEN YOU CHECK OUT. Any questions? Please use contact us.